Sprinklr has engaged the Enterprise Social Media Dream Team to advise you on scaling social across the enterprise. It’s available to you now in a Free PDF. 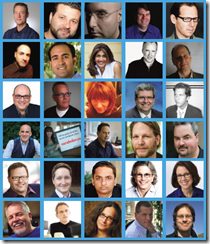 Chris Brogan, Jason Falls, Joseph Jaffe, David Meerman Scott, David Armano, Rohit Bhargava, Mitch Joel, Peter Shankman, Mack Collier, Michael Brito, Jay Baer, Edward Boches, Ann Handley, Nilofer Merchant, Ted Coine, David Weinberger, Shelly Palmer, Mark Earls, Renee Blodget, Augie Ray, Brett Petersel, Ted Rubin, Sarah Evans, Jeff Bullas, Amy Vernon, Matt Dickman, Thomas Baekdal, Venkatesh Rao, Richard Stacy, Hugh MacLeod and Doc Searls. You can download the book here (or read it below). Then, add your comments below. Which was your favorite entry? What question would you like to ask any member of the Dream Team? 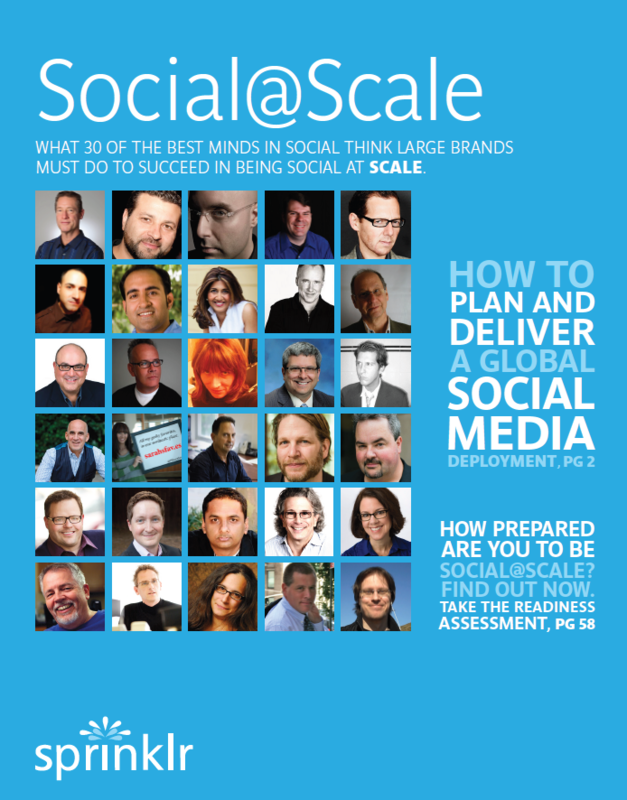 What are you seeing in your organization about being Social@Scale?